Now Con: "Mitt Romney is pro-life. He believes it speaks well of the country that almost all Americans recognize that abortion is a problem. And in the quiet of conscience, people of both political parties know that more than a million abortions a year cannot be squared with the good heart of America. Pro: "I pledged that I would not change our abortion laws either to restrict abortion or to facilitate it. What's more, this particular bill does not require parental consent even for young teenagers. It disregards not only the seriousness of abortion but the importance of parental involvement and so would weaken a protection I am committed to uphold." Pro: "[Donald Trump and I] see eye to eye on China. Not only as an economic threat, cultural threat, [but] down the road they're building a very strong military with potentially the intent to dissuade us from sending ships to the South China Sea, military ships." Not Clearly Pro or Con: "The Credit Card Accountability, Responsibility, and Disclosure Act of 2009 produced federal restrictions on credit card companies that have already led to higher interest rates, higher annual fees, and lower credit limits, especially for middle-class borrowers." None Found: ProCon.org emailed the Romney campaign for his position to this question on Oct. 26, 2011, Nov. 11, 2011, and on Jan. 30, 2012. We also left a follow up telephone message on Feb. 8, 2012. We have not yet received a reply with Romney's position as of Feb. 13, 2012. Pro: "The right course for Cuba is to continue to honor Helms-Burton [a 1996 law which strengthened the US embargo against Cuba]. And if I'm president of the United States, I will use every resource we have, short of invasion and military action, Congressman Paul. I'll use every resource we can to make sure that when Fidel Castro finally leaves this planet, that we are able to help the people of Cuba enjoy freedom." Pro: "Governor Romney has been a consistent supporter and advocate of the death penalty for convicted killers." Pro: "The TARP program, while not transparent and not having been used as wisely it should have been, was nevertheless necessary to keep banks from collapsing in a cascade of failures. You cannot have a free economy and free market if there is not a financial system… The TARP program was designed to keep the financial system going, to keep money circulating in the economy, without which the entire economy stops and you would really have an economic collapse." Any serious plan for ending the housing crisis must address its root cause. Two government-sponsored companies known as Fannie Mae and Freddie Mac were at the center of the housing crisis. Mitt Romney will reform these government-sponsored companies to protect taxpayers from additional risk in the future by ensuring taxpayer dollars in the housing market are replaced with private dollars." Pro: "I think it's, frankly, not moral for my generation to keep spending massively more than we take in, knowing those burdens are going to be passed on to the next generation. And they're going to be paying the interest and the principle all their lives. And the amount of debt we're adding, at a trillion a year, is simply not moral. And Congress can inflate the dollar simply by changing the exchange rate, as was done in the past. So I don't think there's any, if you will, magic bullet substitute for economic restraint, for not spending more money than you take in, for having the nation that's the most productive in the entire world. That's how you get wealth for the middle class is making America a more productive nation with high savings rates and a government that only spends what it takes in." Con: "Too often, unions drive up costs and introduce rigidities that harm competitiveness and frustrate innovation. The statistics tell an unkind story. Studies conducted by non-partisan scholars have shown that labor unions reduce investment and slow job growth. Compare the economic performance of states that have embraced Right-to- Work laws, under which workers cannot be compelled to pay union dues, with states that have retained more union-friendly policies. Over the past ten years, Right-to-Work states have added more than three million jobs, while the others have lost nearly a million... In the midst of an economic crisis, with 25 million people needing work, policies that strengthen the hand of labor unions at the expense of both businesses and workers are probably the last thing the country has needed." Pro: "George H. W. Bush and Bill Clinton both worked to negotiate and implement the North American Free Trade Agreement (NAFTA), which went into effect in 1994... All told, these agreements have enabled people across the world to come together and build a better future. Economists estimate that the agreements have led to the creation of 5.4 million new American jobs and support a total of nearly 18 million jobs. Looking beyond just our FTA partners, our total exports support nearly 10 million American jobs. These are not just jobs; they're good jobs, paying significantly above average, and more than one-third are in manufacturing." Pro: "...I do not want to raise taxes on oil companies." Now Not Clearly Pro or Con: "...[Romney will] begin the process of transitioning to a territorial corporate tax system. A territorial system must be designed to encourage multinational companies to bring their profits back into the U.S. and it must avoid the creation of incentives for outsourcing." "I'm not happy exporting jobs but we must move ahead in technology and patents. I don't like losing any jobs but we'll see new opportunities created selling products there. We'll have a net increase in economic activity, just as we did with free trade. It's tempting to want to protect our markets and stay closed. But at some point it all comes crashing down and you're hopelessly left behind. Then you are Russia." Pro: "Former president George W. Bush was right to champion the No Child Left Behind legislation, which requires states to test student progress and to evaluate school performance – it was the only way to ensure that critical information reached the public. Only the federal government had the clout to force testing through the barricade mounted by the national teachers’ unions." Pro: "Let's take the decision that the [Supreme] court had that said that corporations could make political contributions [Citizens United]. I'm not wild about the idea of corporations making political contributions... as a concept, but I think the court was saying, 'wait a second, here is what the law says, here is what the constitution says, if you don't like that you'd better change those things,' but you can't say that some corporations, unions for instance, can make political contributions, but other corporations can't, I think their decision was a correct decision. I support their decision. I wish we could find a way to get money out of politics. I have not found out a way to do that. I think the best way, by the way, is to let people make whatever contributions they want and have it instantly reported and know what conflicts exist, so we know where the money is coming from. I think the current system on campaign finance reform is a mess." Not Clearly Pro or Con: "The federal government has a role to play in facilitating innovation in the energy industry. History shows that the United States has moved forward in astonishing ways thanks to investments in basic research that have produced breakthroughs to benefit entire industries. Unfortunately, President Obama’s poor understanding of the private sector has spilled directly into his energy policy, as he sought to have government play venture capitalist and spend billions of dollars subsidizing his chosen companies and technologies. Meanwhile, as companies like Solyndra [solar power] were going bankrupt and the wind industry was shedding 10,000 jobs, revolutionary innovation in the private sector was paving the way for energy independence and an economic resurgence. Instead of distorting the playing field, the government should be ensuring that it remains level. The same policies that will open access to land for oil, gas, and coal development can also open access for the construction of wind, solar, and hydropower facilities. Strengthening and streamlining regulations and permitting processes will benefit the development of both traditional and alternative energy sources, and encourage the use of a diverse range of fuels including natural gas in transportation. Pro: “When someone says we want to bring in a pipeline that's going to create tens of thousands of jobs to bring oil in from Canada, how in the world could you say no?" [Mitt Romney would like to] [e]xpand NRC [Nuclear Regulatory Commission] capabilities for approval of additional nuclear reactor designs." Pro: "The best thing we can do to get the price of gas to be more moderate and not have to be dependent upon the oil cartel is to drill in the gulf, drill in the outer continent shelf, drill in ANWR, drill in North Dakota, South Dakota, drill in Oklahoma and Texas." Pro: "I understand the Alaska pipeline is running less than one-third full. As president, I would push to open new opportunities for America’s energy security, onshore and offshore, especially in the Arctic National Wildlife Refuge. I would not have dragged my feet on exploration and development of major prospects onshore and offshore as this Administration has. In a Romney Administration, you will find permitting reform that will help Alaska unlock its potential, statewide. The federal government should be an ally in the effort to develop more of our nation's resources, not an obstacle. We will respect the rights Alaska gained with Statehood -- including control of Alaska lands, waters, and wildlife." Not Clearly Pro or Con: "I believe that climate change is occurring - the reduction in the size of global ice caps is hard to ignore. I also believe that human activity is a contributing factor. I am uncertain how much of the warming, however, is attributable to man and how much is attributable to factors out of our control... Internationally, we should work to limit the increase in emissions in global greenhouse gases, but in doing so we shouldn't put ourselves in a disadvantageous position that penalizes American jobs and economic growth." My view is that the EPA getting into carbon and regulating carbon has gone beyond the original intent of the legislation. I do believe we should reduce the pollutants that harm our health." Not Clearly Pro or Con: "Should Congress have acted or let the [Terri Schiavo] family make the decision [to remove life support], the husband? Con: "I believe we need to focus on enforcing our current laws rather than creating new laws that burden lawful gun owners. I believe in safe and responsible gun ownership and that anyone who exercises the right to keep and bear arms must do so lawfully and properly. I do not believe in a one-size-fits-all federal approach to gun ownership because people keep and use firearms for different reasons. Law-abiding citizens have a right to protect their homes and their families and as President, I will vigorously defend that right." Con: "We put together a plan that was right for Massachusetts. The president took the power of the people and the states away from them and put in place a one-size-fits-all plan. It‘s bad law. It‘s bad constitutional law. It‘s bad medicine. And if I‘m president of the United States, on my first day, I‘ll direct the secretary of HHS to grant a waiver from Obamacare to all 50 states." Not Clearly Pro or Con: "The question began by saying how do we attract Latino voters. And the answer is by telling them what they know in their heart, which is they or their ancestors did not come here for a handout. If they came here for a handout, they'd be voting for Democrats. They came here for opportunity and freedom. And that's what we represent. And that's why we'll win collecting support from Latinos across the country. With regards to illegal immigration, of course we build a fence and of course we do not give instate tuition credits to people who come here illegally. That only attracts people to come here and take advantage of America's great beneficence." The right course for America is to drop these lawsuits against Arizona and other states that are trying to do the job Barack Obama isn't doing. And I will drop those lawsuits on day one... You do that, and just as Arizona is finding out, you can stop illegal immigration." Not Clearly Pro or Con: "As I have said many times, it is critical that we redouble our efforts to secure the borders. That means both preventing illegal border crossings and making it harder to illegally overstay a visa. We should field enough border patrol agents, complete a high-tech fence, and implement an improved exit verification system." Not Clearly Pro or Con: "We're not looking to bring people in and -- in jobs that can be done by Americans... We let people come across our border illegally or stay here and overstay their visa. They get to stay in the country. I want the best and brightest to be metered into the country based upon the needs of our employment sector and create jobs by bringing technology and innovation that comes from people around the world. Pro: "It was the right decision to go into Iraq. I supported it at the time; I support it now. It was not well managed in the -- after the takedown of Saddam Hussein and his military. That was done brilliantly, an extraordinary success. But in the years that followed, it was not well -- we were undermanaged, underprepared, underplanned, understaffed, and then we come into the phase that we have now. The plan that President Bush and General Petraeus put together is working. It's changing lives there. And perhaps most importantly, it's making sure that al Qaeda and no other group like them is becoming a superpower, if you will, in the communities, and having a safe haven from which they launch attacks against us." Not Clearly Pro or Con: "...[T]he Palestinians have no interest whatsoever in establishing peace, and that the pathway to peace is almost unthinkable to accomplish. Not Clearly Pro or Con: "[Katie] Couric: Well, what do you think of people who base their judgment at least partially on a candidate's ability to remain faithful to his or her spouse? 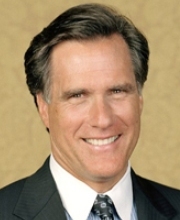 [Mitt] Romney: You know, I let people look at me any way they want to. I'm not gonna give advice to the American people in which aspects of a person's life they look at. After all, the president of the United States is gonna be under a microscope. He will be. The first lady will be. The whole family will be. Every mistake will be open to the world. In some respects, you respect the nation. In some respects you represent an example to the children of America. So we're gonna get looked at in all sorts of ways. And I'm not gonna try and counsel the American people as to what to look at. I know they look at my faith, for instance. And I'm happy to have them do so. Some are critical. Some are positive. It's just part of the package. And take me as ... the whole character that I am. Couric: Do you think that people shouldn't vote for candidates if they are -- commit adultery, for example? Romney: I think people should be able to do what they want to do. And express their own views when they get into the ... voting booth. I'm not gonna tell them how to ... do that. And I know that people will, again, take their own counsel." Not Clearly Pro or Con: "I don't do any arresting. In my view, marijuana should not be made legal either for medicinal purposes or recreational purposes. It's the opening way to drug use for many, many people in our country and I'm opposed to medical marijuana." Con: "I believe marijuana should be illegal in our country. It is the pathway to drug usage by our society, which is a great scourge -- which is one of the great causes of crime in our cities. And I believe that we are at a state where, of course, we are very concerned about people who are suffering pain, and there are various means of providing pain management. And those that have had loved ones that have gone through an end of life with cancer know the nature of real pain. I watched my wife's mom and dad, both in our home, both going through cancer treatment, suffering a great deal of pain. But they didn't have marijuana, and they didn't need marijuana because there were other sources of pain management that worked entirely effectively. I'm told there is even a synthetic marijuana as well that is available. But having legalized marijuana, in my view, is an effort by a very committed few to try and get marijuana out into the public and ultimately legalize marijuana. It's a long way to go. We need less drugs in this society, not more drugs, and I would oppose the legalization of marijuana in the country or legalization of marijuana for medicinal purposes because pain management is available from other sources." Pro: "Well I believe we should use any and all means necessary to take out people who pose a threat to us and our friends around the world. And it's widely reported that drones are being used in drone strikes, and I support that and entirely, and feel the president was right to up the usage of that technology, and believe that we should continue to use it, to continue to go after the people that represent a threat to this nation and to our friends." Pro: "As Commander-in-Chief, Mitt Romney will keep faith with the men and women who defend us just as he will ensure that our military capabilities are matched to the interests we need to protect. He will put our Navy on the path to increase its shipbuilding rate from nine per year to approximately fifteen per year, which will include three submarines per year. He will also modernize and replace the aging inventories of the Air Force, Army, and Marines, and selectively strengthen our force structure. And he will fully commit to a robust, multi-layered national ballistic-missile defense system to deter and defend against nuclear attacks on our homeland and our allies. This will not be a cost-free process. We cannot rebuild our military strength without paying for it. Mitt Romney will begin by reversing Obama-era defense cuts and return to the budget baseline established by Secretary Robert Gates in 2010, with the goal of setting core defense spending—meaning funds devoted to the fundamental military components of personnel, operations and maintenance, procurement, and research and development—at a floor of 4 percent of GDP." Pro: "EVANS: Governor Romney, when President Obama signed the National Defense Authorization Act into law, he enacted a provision allowing him to indefinitely detain American citizens in U.S. military custody... 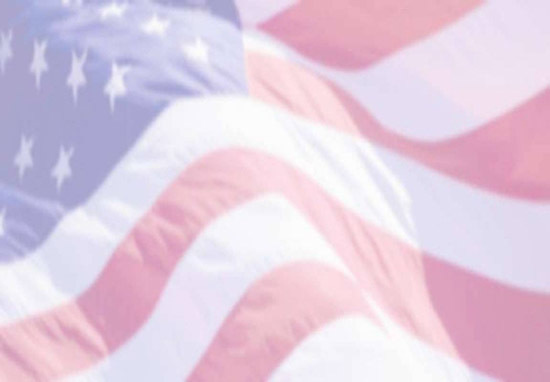 Governor Romney, as president, would you have signed the National Defense Act as written? I'm sorry, Jim. I'm going to stop the subsidy to PBS. I'm going to stop other things. I like PBS. I love Big Bird. I actually like you too. But I'm not going to — I'm not going to keep on spending money on things to borrow money from China to pay for it. That's number one." Con: "Our nominee has to be someone who isn't committed to abolishing Social Security, but who is committed to saving Social Security. We have always had, at the heart of our party, a recognition that we want to care for those in need, and our seniors have the need of Social Security. I will make sure that we keep the program and we make it financially secure. We save Social Security. And under no circumstances would I ever say by any measure it's a failure. It is working for millions of Americans, and I'll keep it working for millions of Americans. And we've got to do that as a party." Con: "I don't believe that somatic cell nuclear transfer or cloning and embryo farming are appropriate and would not pursue federal funding of those forms of stem cell research." KING: Even though they're probably never going to be lives? In Syria I’ll work with our partners to identify and organize those members of the opposition who share our values and then ensure they obtain the arms they need to defeat Assad’s tanks helicopters and fighter jets. Iran is sending arms to Assad because they know his downfall would be a strategic defeat for them. We should be working no less vigorously through our international partners to support the many Syrians who would deliver that defeat to Iran, rather than sitting on the sidelines. It’s essential that we develop influence with those forces in Syria that will one day lead a country that sits at the heart of the Middle East." ...[W]e will champion SMALL businesses, America's engine of job growth. That means reducing taxes on business, not raising them." Con: "I don‘t believe in raising taxes. And as governor I cut taxes 19 times and didn‘t raise taxes." Pro: "We must cut government spending, cap that spending at a sustainable level - 20 percent of GDP is the target I would shoot for - and pass a Balanced Budget Amendment to the Constitution." Pro: "I support tough interrogation techniques, enhanced interrogation techniques, in circumstances where there is a ticking time bomb, a ticking bomb... I do not support torture, but I do support enhanced interrogation techniques to learn from terrorists what we need to learn to keep the bombs from going off." Con: "Governor Romney opposes the construction of the mosque at Ground Zero. The wishes of the families of the deceased and the potential for extremists to use the mosque for global recruiting and propaganda compel rejection of this site."